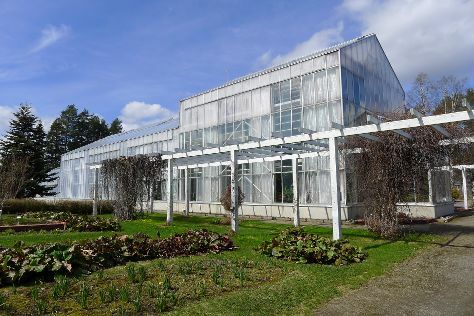 Take a break from the city and head to Hatanpaa Arboretum and Riihiniemen Uimaranta. see Sarkanniemi Theme Park. There's lots more to do: contemplate in the serene atmosphere at Tampere Cathedral, see the interesting displays at Vapriikin Museokeskus, test your team's savvy at popular escape rooms, and relax and rejuvenate at some of the top local wellness centers. For other places to visit, reviews, maps, and other tourist information, refer to the Tampere attractions planner. Tel Aviv, Israel to Tampere is an approximately 15.5-hour flight. When traveling from Tel Aviv in July, plan for a bit cooler days and much colder nights in Tampere: temperatures range from 24°C by day to 13°C at night. Finish up your sightseeing early on the 4th (Thu) so you can travel to Joensuu. Joensuu is a city and municipality in North Karelia in the province of Eastern Finland. Kick off your visit on the 5th (Fri): take in the spiritual surroundings of Pyhan Nikolaoksen kirkko, take in nature's colorful creations at Botania - Botanical Garden and Tropical Butterfly Garden, then tour the pleasant surroundings at Honkaniemi Beach, and finally kick back and relax at Utra Beach. On the 6th (Sat), you'll have a packed day of sightseeing: browse the eclectic array of goods at Joensuun Tori (Joensuu Market), don't miss a visit to Sculpture Susi Kosiomatkalla, then examine the collection at Pohjois-Karjalan museo Hilma, then contemplate in the serene atmosphere at Joensuu Church, and finally find something for the whole family at Treetop Adventure Park. To find other places to visit, ratings, where to stay, and other tourist information, read our Joensuu road trip planning tool . Traveling by car from Tampere to Joensuu takes 5 hours. Alternatively, you can fly. In July in Joensuu, expect temperatures between 24°C during the day and 13°C at night. Finish up your sightseeing early on the 6th (Sat) so you can go by car to Savonlinna. Start off your visit on the 7th (Sun): see the interesting displays at Savonlinna Provincial Museum, step into the grandiose world of Olavinlinna Castle, make a trip to Pikkukirkko, then look for gifts at Taito Shop Savonlinna, then explore the historical opulence of Savonlinna Cathedral, and finally indulge your taste buds at Savonlinna Market Square. 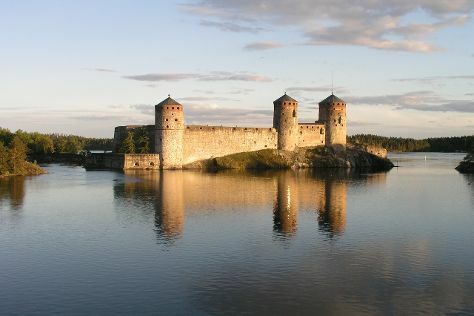 To find photos, ratings, traveler tips, and other tourist information, go to the Savonlinna trip itinerary maker site . You can drive from Joensuu to Savonlinna in 2 hours. 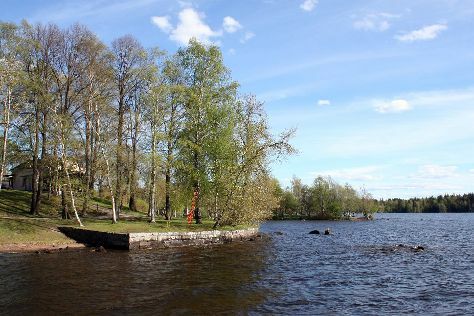 In July in Savonlinna, expect temperatures between 24°C during the day and 13°C at night. Wrap up your sightseeing on the 7th (Sun) early enough to drive to Lappeenranta. Kick off your visit on the 8th (Mon): contemplate the waterfront views at Saimaa Canal, take an in-depth tour of Wolkoff House Museum, then look for gifts at MyGoodKnife, and finally steep yourself in history at Lappeen Marian kirkko. 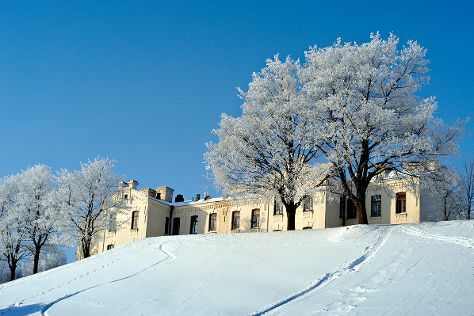 On the next day, see the interesting displays at Lappeenranta Fortress, explore the world behind art at Lappeenrannan taidemuseo, then take in the architecture and atmosphere at Church of the Intercession of the Mother of God, then get engrossed in the history at South Karelia Museum, and finally make a trip to Sandcastle Lappeenranta. To find photos, reviews, where to stay, and other tourist information, refer to the Lappeenranta trip builder app . Traveling by car from Savonlinna to Lappeenranta takes 2.5 hours. Alternatively, you can take a train; or take a bus. In July in Lappeenranta, expect temperatures between 24°C during the day and 15°C at night. Cap off your sightseeing on the 9th (Tue) early enough to catch the train to Kouvola. Kouvola is a town and municipality in southeastern Finland. 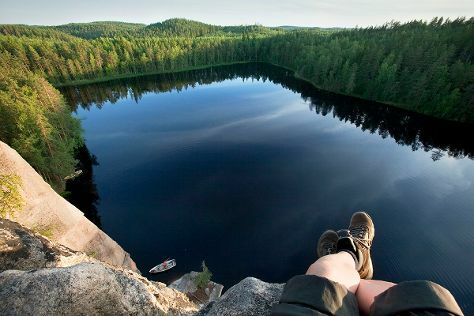 Start off your visit on the 10th (Wed): explore the wealth of natural beauty at Repovesi National Park. For more things to do, other places to visit, maps, and tourist information, read our Kouvola online itinerary planner . Traveling by train from Lappeenranta to Kouvola takes an hour. Alternatively, you can drive; or take a bus. In July, daytime highs in Kouvola are 24°C, while nighttime lows are 14°C. On the 11th (Thu), wrap the sightseeing up by early afternoon so you can travel back home.